As one can read in the news on a daily basis, China has become one of the biggest trade partners for the Western world. European countries, among which the Netherlands, do a lot of business with China and nowadays, many products sold here are “Made in China”. Perhaps you are one of those companies wanting to do business with China, to import products from China or to sell your own products or services to customers in China. BeeCommunication helps you translate your website, sales brochures, company profile and many other types of documents you need to promote your products or services to potential Chinese customers. By having us translate your texts into flawless Chinese, we can help you bring your message across and ensure you have the right tools to promote your business. In China, many different dialects are spoken. In general, we can say that the “official” language is Mandarin. In written texts, this is called Simplified Chinese. In the south of China, and for example also in Hong Kong, Traditional Chinese is used. As the name already suggests, Simplified Chinese has different, more “simple” characters than the Traditional Chinese symbols and characters. We can provide translations from and into both Simplified and Traditional Chinese. Hello! My name is Mimi Chan and I am responsible for the translations from and into Chinese. I am a freelance translator since 2010. I enjoy working with different kinds of customers. From small companies doing business with China to translating content for websites or apps. Each translation and each customer offers me a new opportunity to make sure the content is correctly translated. The next text I will be working on might be yours! 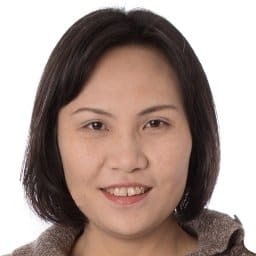 Mimi Chan is co-owner of BeeCommunication and translates from and into Chinese. Why do other customers choose BeeCommunication? We are proud of our work and our translations. We do our best to make sure your message comes across to your target audience. We value quality and put a lot of effort into all our translations. Our customers appreciate our eye for detail and the fact that we always keep our promise. BeeCommunication is your reliable translation partner. We are not a translation agency. Thus, we do not have expensive project managers, expensive office space and other overhead costs. Instead, we are freelancers who invest in continuous learning and the proper translation software that enables us to work even more efficiently. This enables us to keep our rates at an affordable level. Mimi Chan is a native speaker of the Chinese language. She learned to read and write Chinese since childhood, so she understands the subtleties of this language. Being a native speaker enables her to fully understand the way the target audience interprets certain words and this, in turn, allows Mrs Chan to translate not just the content but also the meaning of your texts into Chinese. Mrs Chan translates both into Simplified and Traditional Chinese. Do you have a document you want to have translated into Chinese, English or Dutch? Then we look forward to hearing from you so we can provide you with a quote for your translation. You can use the contact form or, if you are in a hurry, you can call us at +31 6 27028768. Our email address is info@beecommunication.nl. To provide you with an even more accurate quote and estimate of the time we need to translate your document, you can upload a file using the contact form. You can send us a .pdf, .txt, .doc or .docx file (maximum size is 2 Mb). We will send you a tailor made quote straight away. We translate from and into Chinese, English and Dutch. For Chinese and Dutch, we use native speakers for your translations and for proofreading. We translate website texts, marketing copy, brochures, business correspondence, apps, books and more! We can even translate your document into Spanish, German, French or several other European languages, thanks to our cooperation with several other experienced freelance translators.